This year, on top of creating the free 2018 workbook to help you set goals and habits, I went one step further and created a physical planner to help you organize your week and take action to change your life! You can learn more about the 2018 planner here! Now let’s get starting with the FREE Make The Best Of 2018 Workbook. This year our goal is to take action to change our lives. And this means no more simple resolutions or wish list. Instead, we are going to make a plan and stick to it! Because simply saying “I want to ….” is not going to make anything happen but saying “I am going to … and here’s everything I need to do to make it happen” will change your life! So this year, we are not going to make resolutions but instead a solid plan. Every year I like to start with one or two words to define the changes I would like to make. Last year my words were Success + Happiness. 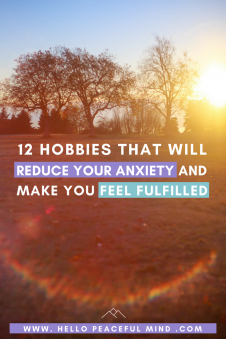 I have focused most of my time on finding new ways to become happier and I have to say that I have learned so much about living with anxiety and depression. Next year, my theme is going to be Purpose. Most of you know that I recently lost my job, I am taking this opportunity to try a dream of mine and focusing on helping others. I also want to learn how to live more intentionally. Once you know what your theme is going to be, you can narrow it down to areas of your life that you would like to improve. Think about which specific areas you want to work on to improve your life. 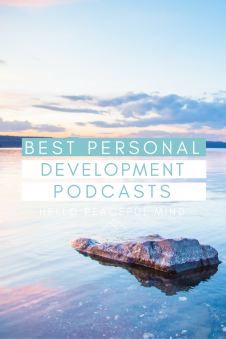 It can be anything from your finances to personal growth. It’s important to first think about what are areas in your life you would like to improve, it will make it easier to decide which new habits and goals you should focus on next year. For example, one of my areas of focus is fitness, therefore I decided that one of the new habits I want to implement in 2018 is to create a new workout routine and stick to it! See it’s easy. First, find the problem then come up with a solution. You will find a list of 26 suggestions for areas you can improve your life and also add your own to the free workbook! Now that you know which areas of your life can be improved, let’s find ways to make it happen! You can decide to implement a new habit in your life, like writing in a diary every night to help you sleep or just go for a specific goal like a 30 day no spending challenge if you want to improve your finances or save money for a trip. In the workbook, you will be able to write down 12 habits or goals. Select how often you will work on it: is it going to be daily, weekly or monthly? Planning 2018 is not just about goals and habits, but also about having fun and take care of yourself! So one very important step is to create a bucket list. I would recommend to print it and put it on your fridge so you are reminded to have fun during the year. You can also send it to your friends and family to do some activities together! So close your eyes and think about things that you have postponed, things that scare you to do and things that just sound fun and write it down in your workbook. Now that you know everything that you want to accomplish in 2018, let’s make it happen! All you have to do is use the monthly check-in pages of the workbook and keep track of your activity. First, select which item from your bucket list you are going to cross off. After, decide which new goal or habit you are going to focus on during the month. Is it going to be daily, weekly or monthly? Then, all you have to do is check the box for every day you are working on something! Remember, you don’t want to overwhelm yourself so only add a new habit to your life when you feel ready. If it takes you more than a month, it’s okay, just take your time and make it happen! Download the planner and share your theme and goals for 2018 in the comments! I love this!! Do you already know how you will apply it in your life? Last year my word was habit. I want to build on this some more, but the word that’s speaking to me at the moment is tradition. I want to instill some traditions and rituals into my life to enrich and deepen my days. Life can go by so fast if you don’t take the time to celebrate the moments. I have been trying to access the free workbook. I put in my name and email and have yet to receive a link to download. Can you please advise? I’m happy to have found this link to your page. Excited to receive the workbook and get started. My theme is Intention. Living intentionally because my dreams wont just happen. I need to take action. Hi! Today I discovered your blog and fell I love! 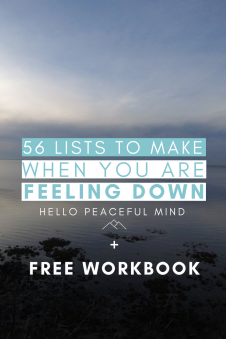 I’ve already downloaded your free workbook and it looks amazing. Can’t wait to work with it!!!! My theme for this year is ” Forgiveness and Faith”. Thank you for your amazing work. Greetings from the Netherlands, Linda.